SUCH MUSIC • Our first feature – Yea! We at Such Music are pumped! 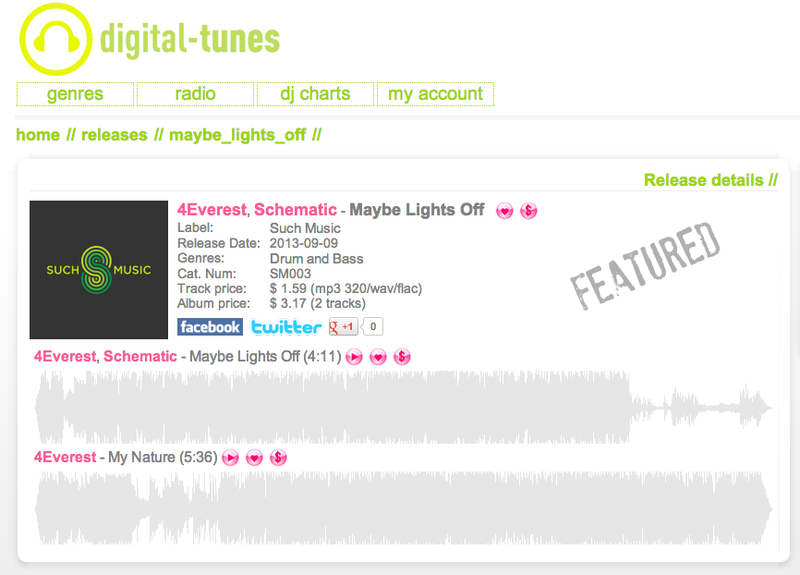 We got our first feature with Digital Tunes for our third release “Maybe Lights Off” by 4Everest Feat. Schematic. The feedback we’ve received for this release has been amazing. We’re inspired and will keep the vibes rolling.